If you’re shopping for work vans for your Evanston or Oak Park business, you’ve likely come across the strong and spacious 2018 RAM ProMaster. Stacked up against the 2018 Mercedes-Benz Sprinter, however, the RAM ProMaster loses much of its appeal. The new Sprinter offers higher torque, cargo, and towing figures, plus exclusives like a multifunction steering wheel. If you’re convinced the ProMaster is the right work van for you, we encourage you to check out our ProMaster vs. Sprinter Van comparison for a few game-changing details! Offered with front-wheel drive only, the ProMaster sports a 6-speed automatic and a 3.6L V6 engine rated at 280 hp and 260 lb-ft of torque. The Sprinter, on the other hand, offers a choice between front- and four-wheel drive, and features an ultra-fast 5-speed automatic. The Sprinter also gets a 188-hp 3.0L turbo-diesel V6 engine rated at 325 lb-ft of torque. While the ProMaster produces more horsepower, the Sprinter delivers greater torque for low-speed engine power. 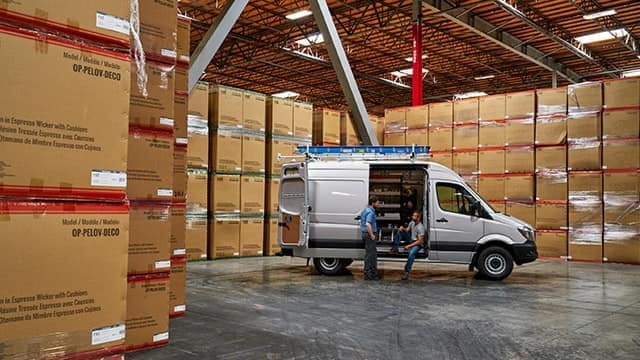 The ProMaster Cargo Van is offered in three main trim levels: 1500 (118- to 136-inch wheelbase), 2500 (136- to 159-inch wheelbase), and 3500 (159-inch wheelbase). Regardless of trim, the ProMaster is capable of impressive feats, and can tow up to 5,100 pounds and haul as much as 4,430 pounds. 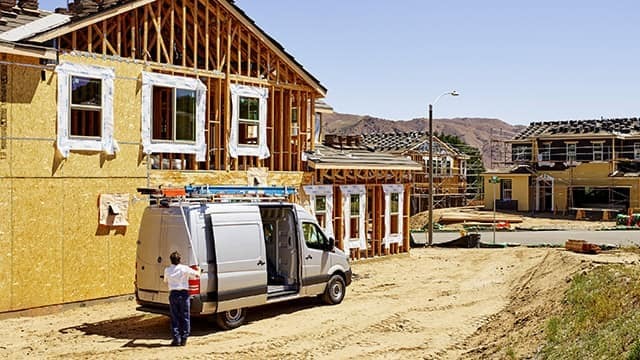 The Sprinter Worker is available in a standard-roof, 144-inch wheelbase configuration, while the Cargo Van is offered in 2500 (144- and 170-inch wheelbases) and 3500 (170-inch/high-roof), and 3500XD (17-inch extended wheelbase) trims. Altogether more efficient than the ProMaster, the Sprinter can tow between 5,000 and 7,500 pounds, andhas a payload capacity of over 5,000 pounds. Customize Your Sprinter Van at Mercedes-Benz of Chicago! Compared to the RAM, Sprinter Vans win out with superior capabilities. 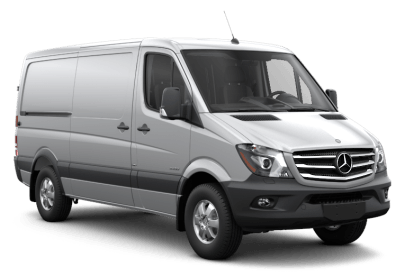 If you’d like to compare the RAM ProMaster vs. Sprinter more thoroughly, contact Mercedes-Benz of Chicago! Should you ever need general Sprinter service or Sprinter brake repair, our service team is qualified to assist you!